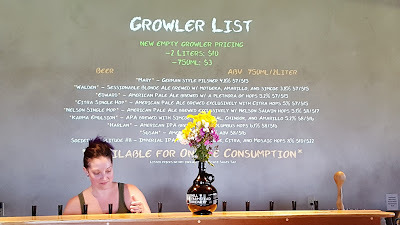 The So Cal Craft Beer Blogger (SCCBB) recently had the opportunity to visit the Northeast Kingdom, with friend and beer guru, Sir Ted of Sonoma. 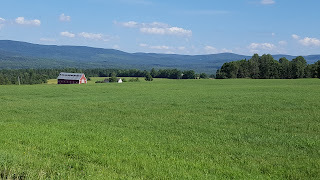 After the two paladins paid their respects to The Alchemist in Stowe, their quest took them to a place that might be considered the Holy Land or, looked at from the Saracen perspective, the Mecca of Breweries: Hill Farmstead Brewing, rated Number 1 Brewery in the World -- again -- for 2015 (according to RateBeer.com). As indicated in Part 1 of this chronicle, the SCCBB pretty much learns anything that's new and exciting about beer from Sir Ted. 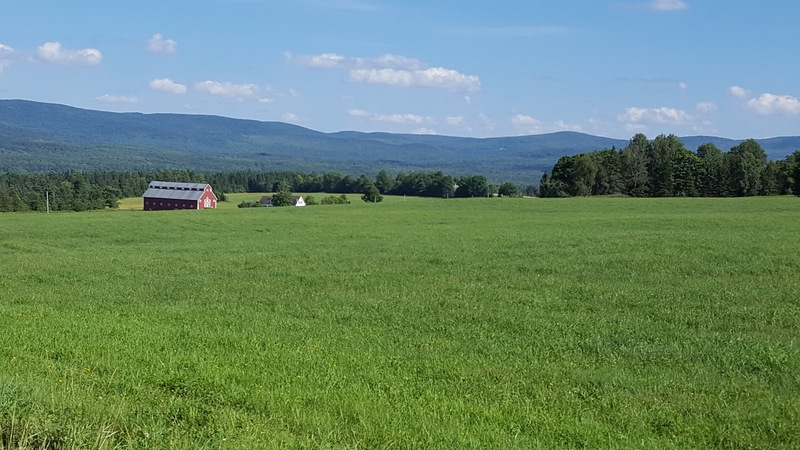 The journey to Hill Farmstead Brewery required a supreme exercise of faith on the SCCBB's part, mostly because it's in the middle of nowhere, and the last five miles are on a seemingly abandoned dirt road. Below is the view from the parking lot, which was PACKED on a Wednesday afternoon. 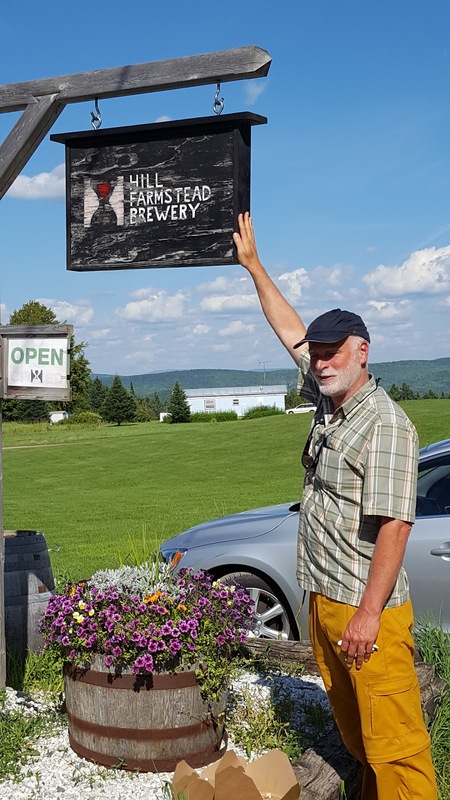 Sir Ted, a veteran crusader and zymurgist, recognized Shaun Hill, Hill Farmstead's founder and head brewer, as the dark lord wandered through the Farmstead's retail space, making sure the troops passed muster. A Vanity Fair interview from a couple of years ago gives a pretty good background on Shaun (Parental Advisory: Explicit Language). Shaun and Sir Ted exchanged pleasantries, then Shaun introduced us to Andrew Peterson, whose company, Peterson Quality Malts, malts grain for beer. Andrew said there are only 42 maltsters in the United States, and he is the only one in Vermont. How can you tell when a brewer has used fresh malt? we asked. "The difference in taste is the difference between home-baked bread and store-bought," he responded. Here's an article on Andrew from Craft Beer and Brewing Magazine. (Rated "G": For general audiences). Hill Farmstead has a very eclectic brewing program, with some super-artisan yeast brews available only in bottles. Sir Ted, an accomplished yeast master in his own right, collected some yeast from the bottom of a bottle of "Arthur" for further investigation once he returned to Sonoma's green and pleasant land.